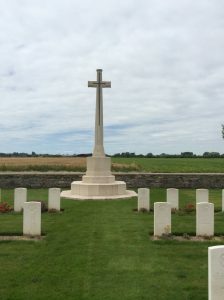 Pont Du Hem Military Cemetery, Grave reference V. G 18. On 29 September 1911, the 2nd Battalion joined the 5th Infantry Brigade of the 2nd Division, in which it was to serve until 1919. War with Germany was declared on 4th August 1914 following its entry into Belgium. The battalion was at Albuhera Barracks, Aldershot in 1914 when war was declared. (The 2nd Division had exercised a practise mobilisation on 27 July 1914 little realising that it would be involved in the real thing within another week. The Battalion strength was then 508 men of all ranks, half its war complement; within the third day of mobilisation, 7th August, all its Reservists had re-joined the Regiment and the whole thing had been achieved without a hitch. On 13 August 1914, the end Battalion embarked at Southampton on the S.S. ‘Lake Michigan’ and landed at Boulogne next day. The Battalion was engaged in various actions on the Western Front including; the Battle of Mons and the subsequent retreat, the Battle of the Marne, the Battle of the Aisne and the First Battle of Ypres. On 1st August 1915, the battalion was in the Cuinchy trenches. 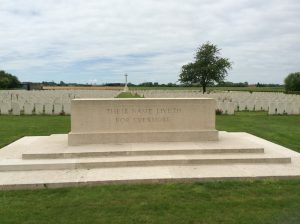 General Joffre and Sir John French planned another attack on the Germans in the Loos sector. 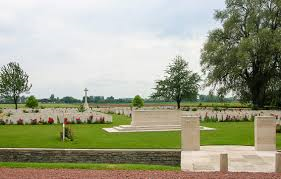 The Battle of Loos, began on 25th September, died out on 13th October. 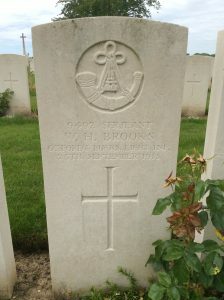 From Givenchy on 25th September, the Brigade made a subsidiary attack, using gas for the first time, but in fulfilling its mission of holding the enemy to their front and preventing them moving their reserves elsewhere, suffered heavy losses without gaining any ground. . Up to then the British Army had never had engaged more men or suffered more casualties. The Battle of Loos can hardly be considered a British victory although the first assault was a magnificent success. Yet we were unable to hold all the ground gained and our losses were very heavy amounting to 2000 officers and 50,000 men. German casualties were in excess of ours. 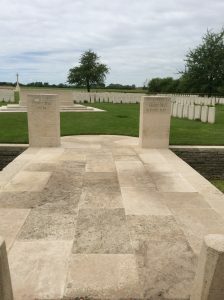 The 2nd Battalion of the Oxford and Bucks Light Infantry was part of the 5th Brigade (under General Cochrane) to the North of La Bassée Canal at Givenchy. The whole plan was an assault between Artois and Champagne. The British on the left of a front of some seven miles from La Bassée Canal southwards to the village of Grenay. The 5th Brigade would attack half an hour before those to the south. 5:50 a.m. Gas and smoke (known as the accessory) were discharged from our front for the first time in the area. The air was motionless and as a result the gas hung very considerably and did more harm to us than the Germans. 6:00 a.m. ‘A’ company attacked, got 200 yards and gained a footing in a good length of the Huns’ front trench and others got further to the support trench (behind the front trench), but by 11:00 a.m. had been pushed back by German reinforcements. 8:00 a.m. -9:00 a.m. A platoon of ‘C’ company sent to assist ‘A’ – could not make no headway across No Man’s Land – under enemy artillery fire. ‘D’ company – advanced with even less success – opposite them was gas hanging in places. Moreover, in front of the company were strongly held craters with enemy machine guns.